Every company or business nowadays would need a website – a great assurance that web programming will always be needed. With the rate of how technology is growing, any jobs or professions related to it should feel very assured and secure. However, as technology also evolved, a lot of services and applications were made to make creating a company website a lot easier. Do-it-yourself site builders are becoming popular lately. Most start-ups would opt for this because they wouldn’t need to hire a web programmer to do their website. But do these DIY’s threaten the extinction of web programmers? Truth is, it won’t. Sure, it could lower the number of prospective clients, but to businesses who would like to stand-out from the rest, they know they can’t depend their company’s online marketing to DIY’s. They need an expert on the job. Your website is your company’s identity. DIY site builders often make one’s website look very mediocre. There are limited templates, design, and features and your website will practically just look like everyone else’s. It is built in Flash and that’s a huge disadvantage, especially for search engine optimization. Most of these site builder uses Flash to make it look like you have a couple or more pages when, truth is, you only have one. Plus, Google Analytics don’t recognize Flash making your website almost non-existent to Google. That would mean you don’t have to expect a lot when it comes to search engine results. This makes your website a complete waste. So what do you do? Hire a web programmer. 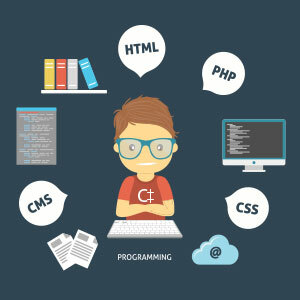 With proper web programming, you can get the best out of your website. Yes, you’d be shelling out money – but the returns would be rewarding. The functionality, features, design, and templates on your website will be unique from all others. Web programming allows you to add up features that DIY site builders don’t have. Plus, web programmers understand the importance of optimizing your website for the best search engine results. They know how tags, meta tags, and keywords would work and work best for your website. Web programming isn’t extinct at all. As long as businesses and companies would see that their reputation is worth more than any DIY stuff online, then web programming will never die.